I run these workshops with my carefully selected associates with a passion for using hand drums and experienced with groups. These drums are inspired by the medicine work of North American First Nations people having trained in Canada with First Nations elders, I work with some of their teachings in Honouring the Elders in our society by using teachings around the medicine drum. The drums can be used for fun and activity as well as traditionally to bring well-being. 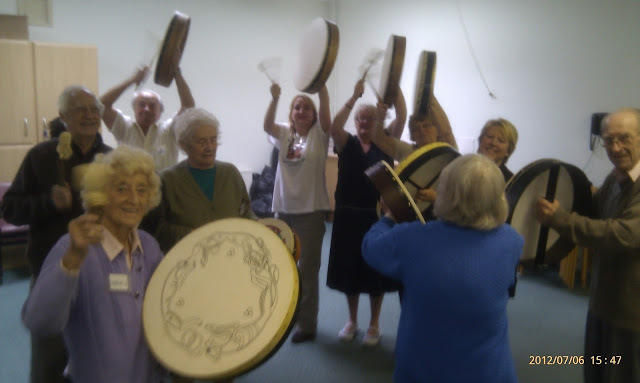 Having a collection of over 30 drums and rattles we can bring a heartbeat to your group. 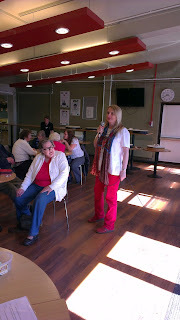 I work with all ages, and have worked in secondary schools as well as end of life settings. I have drummed with people with HIV, learning disabilities, illnesses and mental health issues of all kinds. The drums lift the spirit and engage the most difficult to engage people. 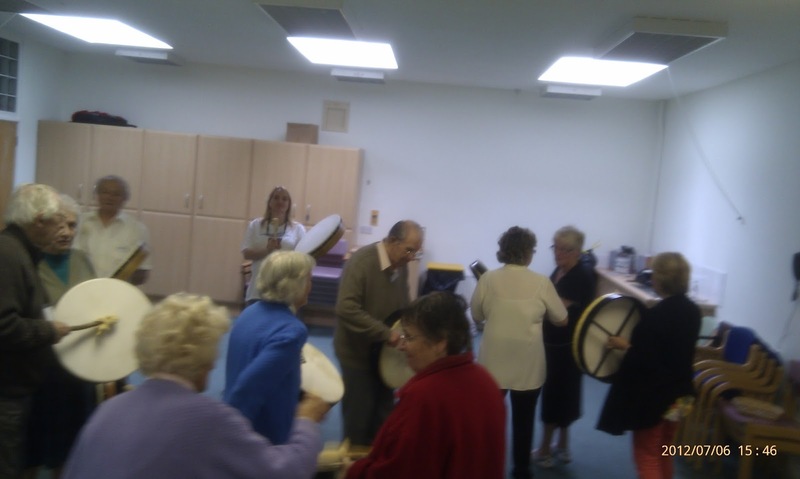 One of my favourite pieces of work is for 3G workshop which was developed with Age UK Plymouth, this workshop involves people of all ages, sometimes three generations of the same family, coming together in a group to drum and sing and write simple songs together. The younger generation write simple songs to honour their grandparents and they all come together around the drums. This workshop is accessible to people with dementia and enables families to do something together which is often lost when a family member developed dementia. 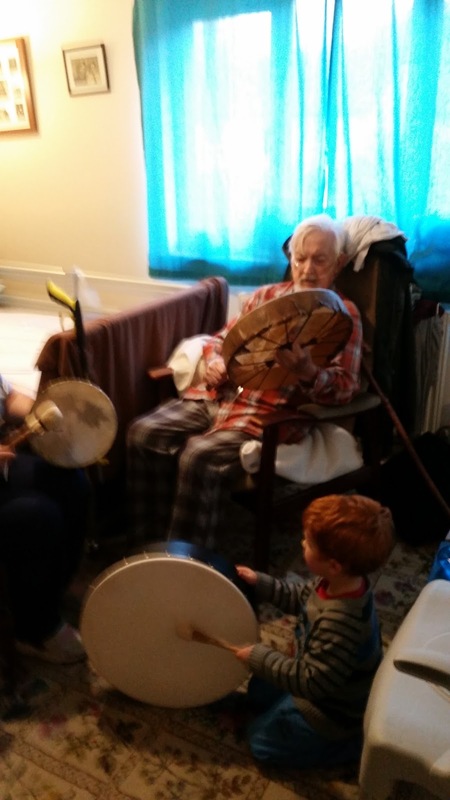 One of my favourite pieces of work is for 3G workshop which was developed with Age UK Plymouth, this workshop involves people of all ages, ideally three generations of the same family coming together in a group to drum and saying and write simple songs together. The younger generation write simple songs to honour their grandparents and they all come together around the drums. This workshop is accessible to people with dementia and enables families to do something together which is often lost when a family member developed dementia. These lovely images are on the Plymouth Herald site here when we were at Stoke Damerel Community College a while ago.